Exciting times. My third pamphlet (counting ‘Foot Wear‘ as one) All the Relevant Gods is here. 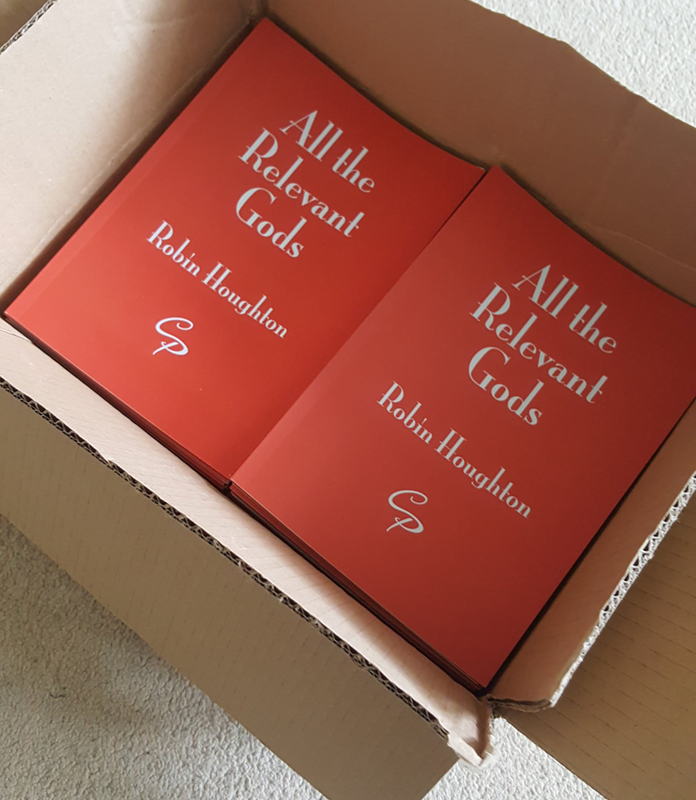 A box of copies arrived last week, so now I have to go about emptying it! 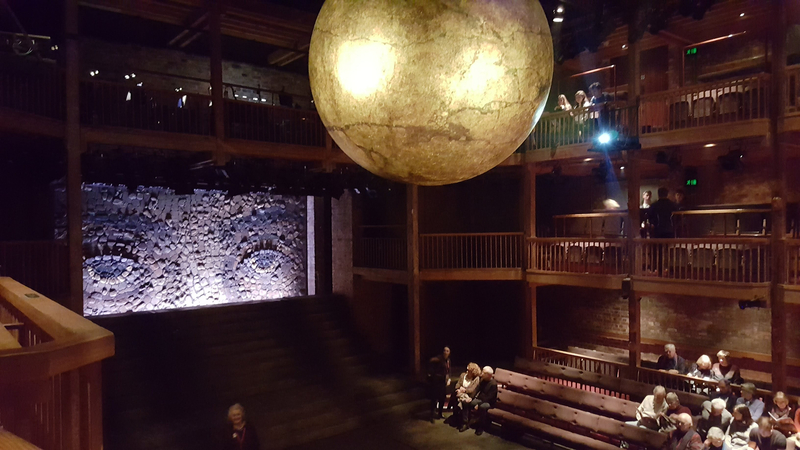 There are reviews to solicit, copies to send out, readings to secure – I already have readings confirmed for Needlewriters Lewes in April, plus Reading and Cheltenham in 2019. I’m hoping to have some more in 2018 but it’s amazing how far ahead reading slots get booked. I ought to know this – at Needlewriters we’re booked up to 2020. And of course the launch evening – which is shaping up into something fabulous. 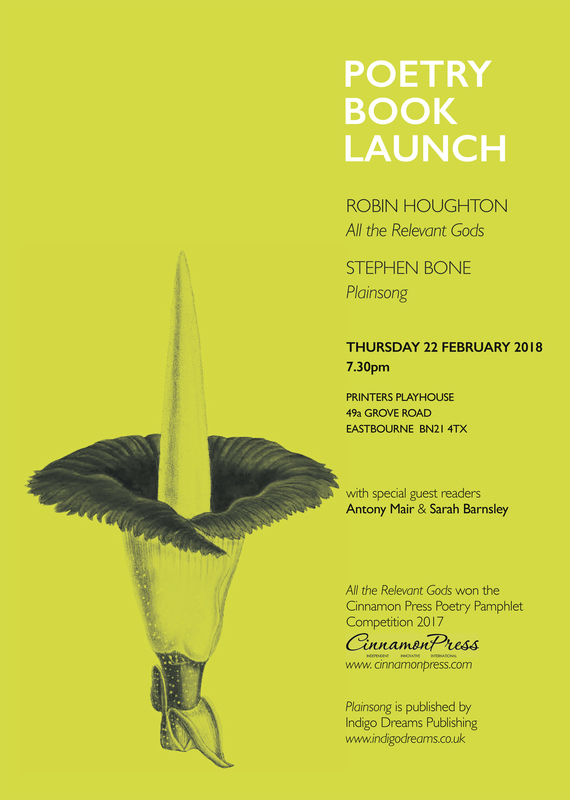 My far-too-modest poet friend Stephen Bone also has a new pamphlet out, Plainsong, from Indigo Dreams, so we’re having a joint launch party in Eastbourne at the suitably funky Printers Playhouse. Here’s the launch invitation, featuring a Titan Arum, a huge smelly flower about which Stephen writes most lustily! If you’re anywhere nearby, do come join the party and let us entertain you! How exciting. I wish you well. Looking forward to getting my hands on a copy. How did I miss the blog post about “Shoes”? I love it! put me down for a copy immediately. As for “horribly talented”, it feels more like “horribly floundering”, but I’ll try to rise to the occasion on the night. All very exciting. Ha ha! A copy of ‘Shoes’ has your name on it! !